What Does That Quote from 1984 Mean? George Orwell's famous quote comes from his justifiably famous science fiction novel "Nineteen Eighty-Four" (also written as 1984), and that's where the best information about what that quote means may be found. "Who controls the past controls the future" is a quote from George Orwell's 1949 novel, "1984." The novel describes a dystopian future, where all citizens are manipulated by a single political party. Orwell was writing when information was being controlled by a minority of people, and his novel contains references to Nazi Germany. The quote still reminds us that it is important to identify the sources of the information we receive. "Nineteen Eighty-Four" was written in 1949 and is today considered a classic, and widely read as an assignment in high schools and colleges everywhere. If you haven't read it or read it recently, "1984" is also available to be read for free on the Internet in several places, including George-Orwell.org. In "1984," the dystopian superstate of Oceania is run by the fictional English Socialist Party, known in the Newspeak language of Oceania as Ingsoc. Ingsoc is led by a mysterious (and perhaps mythical) leader known only as "Big Brother." 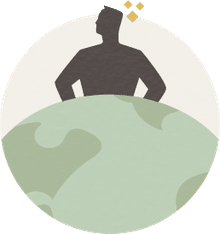 The protagonist of the novel is Winston Smith, a member of the middle class known as the "Outer Party" who lives in London, a capital city in Oceania. The year is 1984 (Orwell was writing in 1949), and Winston, like everyone else in the novel, is under the thumb of the charismatic Big Brother's totalitarian government. Who controls the past, controls the future: who controls the present, controls the past… The mutability of the past is the central tenet of Ingsoc. Past events, it is argued, have no objective existence, but survive only in written records and in human memories. The past is whatever the records and the memories agree upon. And since the Party is in full control of all records, and in equally full control of the minds of its members, it follows that the past is whatever the Party chooses to make it. Winston is aware of The Brotherhood, said to be a counter-revolutionary resistance movement against Ingsoc and led by Big Brother's political rival Emmanuel Goldstein. However, Winston knows about The Brotherhood only because Ingsoc tells Winston and his coworkers about them. Goldstein's image is broadcast in a program known as the "Two-Minutes Hate." Ingsoc controls broadcast television channels, course, and the program is a daily one aired at Winston's place of work. In that program, Goldstein is shown abusing Big Brother, and Winston and his co-workers are inflamed into screams of anger at Goldstein. However, although it is never explicitly stated to the reader, it is certainly very likely that both Goldstein and the Brotherhood are inventions by Ingsoc. There may not be a counter-revolutionary or a Brotherhood behind him at all. Instead, Goldstein and the Brotherhood may be paper tigers, set up to manipulate the masses into supporting the status quo. If someone is tempted by the idea of resistance, as Winston is, then his or her participation in the movement identifies them to Ingsoc and as Winston learns, Ingsoc crushes the temptation out of you. At the end, "who controls the past controls the future" is a warning about the mutability of information. In today's world, the quote reminds us that we need to continually question the authority of oligarchs, that we need to be able to recognize when we are being manipulated, and that the dangers of being manipulated, whether to take action or not, can be devastating. 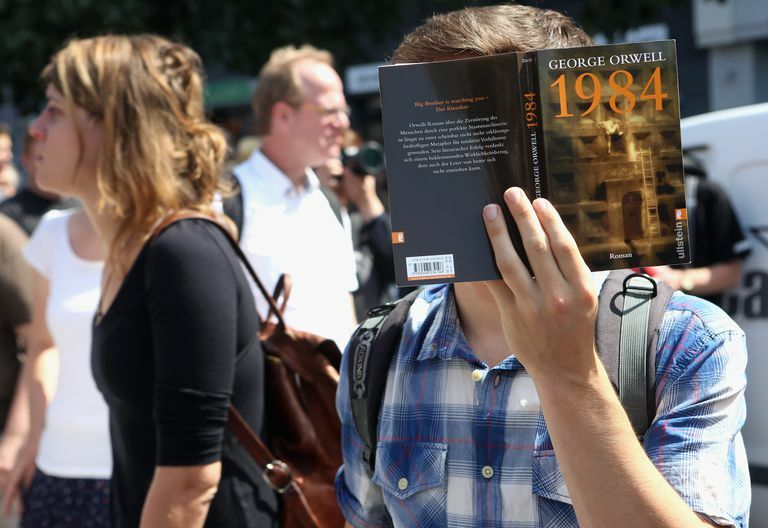 1984 is a novel of a dark and threatening future, and Big Brother's slogans keep its masses of people under control by use of three party slogans: "War is peace," "Freedom is slavery," and "Ignorance is strength." That reminds the reader, as Orwell certainly intended it to, of the Nazi party in World War II Germany. The Nazis had a number of party slogans with which it dulled the minds of the people: if someone gives you a slogan to chant, you don't have to think about the implications. You just chant. This specific quote of Orwell's has​ an additional meaning to people who study the past, in that scholars need to recognize that whoever wrote a history book likely had an agenda, an agenda that might involve making one group look better than another. Up until recently, only a few people were able to publish and be widely read. That was certainly true in the mid-20th century: Only governments and government-supported businesses had the money to publish textbooks and determine what was in them. At the time, government-sponsored textbooks were just about the only way a high school student could learn anything about the past. Today we do have the Internet, with lots of people giving lots of different opinions, but we still need to ask: Who is behind the things that we read? Who is it that wishes us to be manipulated? Twisting the German past to make their Third Reich sound inevitable is indeed something that the Nazi party explicitly did. But when the Russians use social media to twist American and other perceptions and affect the outcome of an election, that is a clear and present danger of the same kind, a danger foretold by "1984."